Recently, MREC’s Liz Felter attended the 2019 Extension Leadership Conference in San Antonio. Felter presented at the conference with colleagues Hannah Wooten, sustainable agriculture & food systems Extension agent in Seminole County, and Richard Tyson, director of UF/IFAS Orange County Extension. Felter is Central Florida’s regional specialized Extension agent for food systems. 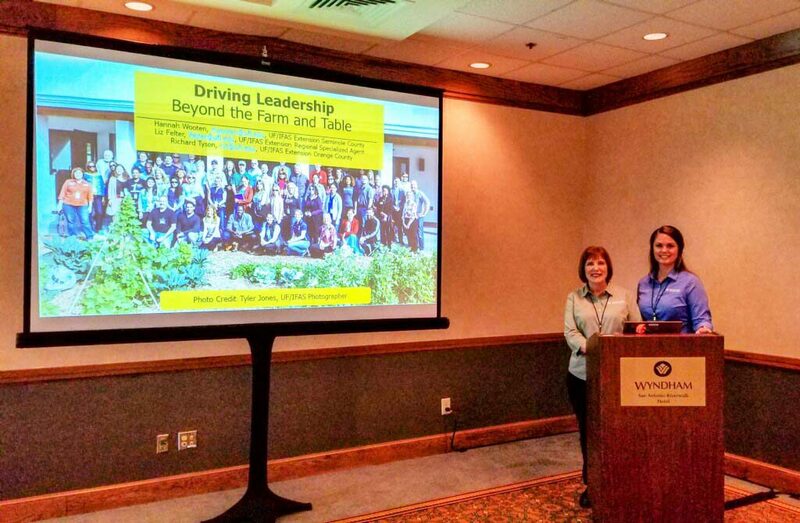 The team presented their work entitled “Driving Leadership Beyond the Farm and Table” with a focus on identifying community collaborations and partnerships in urban areas. The presentation focused on survey results from participants of the 2018 Central Florida Food System Tour, hosted by partners UF/IFAS Extension and Good Food Central Florida, a food policy council. Attendees had the opportunity to visit large rural farms and small urban operations to see their production process, distribution and facilities while speaking to farmers and food system experts. Liz Felter and Hannah Wooten prepare for their talk at the 2019 Extension Leadership Conference in San Antonio. Tour participants noted their increased knowledge of urban food systems, increased networking within the food production community and increased consideration of food systems during planning and decision making. 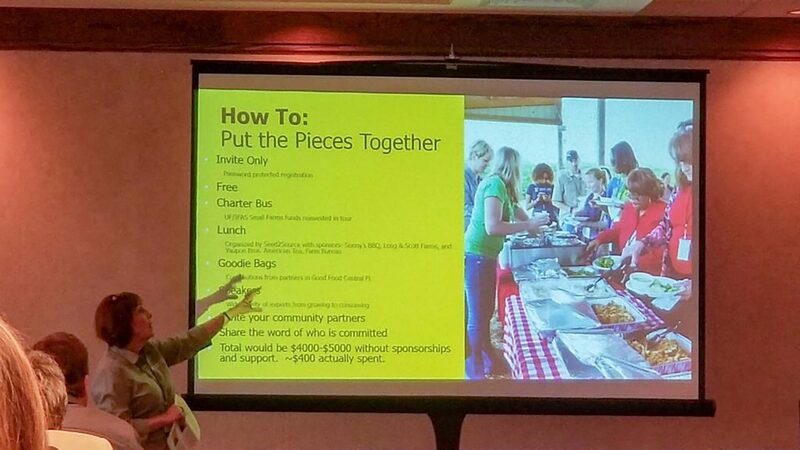 Here, Felter explains how the 2018 Central Florida Food System Tour was organized. The survey results concluded local food system tours and targeting community leaders is an effective educational approach in addition to providing networking opportunities for the Central Florida food system community. For more information about the conference and to see more presentation abstracts, follow this link. To learn more about UF/IFAS Seminole County Extension, follow this link. To learn more about UF/IFAS Orange County Extension, follow this link.